The purpose of this weekly news digest is to give readers a window into the complexity of the Middle East by taking a look at everyday events as well as major conflicts in which regional and international players are involved. With more knowledge of the region, we hope educators and others can begin to ask, and answer, questions about U.S. interest and involvement there. What informs American policymakers’ positions on the Arab-Israeli conflict, for example? In how many countries is the United States military fighting the war on terror (one account says 76)? What effect does conflict have on youth development and education? Who are the people beyond the dramatic headlines – what do their lives look like and what might they have to say about their governments’ behavior? Critical thinking about these issues requires active digging into multiple sources – news, social media, blogs, official government or organization statements, and academic and historical accounts. There are multiple sides to every story. Take, for instance, the seemingly benign example of Morocco’s bid to host the 2022 World Cup competition – that’s the Olympics of soccer (or football, as the rest of the world knows it), if you’re not a sports enthusiast. Sports, whether you’re a fan or not, is never just about a game, but like other social enterprises is deeply intertwined with race, economics, politics, gender, geography and environment, and even religion. NFL player Colin Kapernick’s decision to not stand for the national anthem in 2016 set off a firestorm of controversy surrounding issues of race, patriotism, professional sports and discrimination that continues to this day. 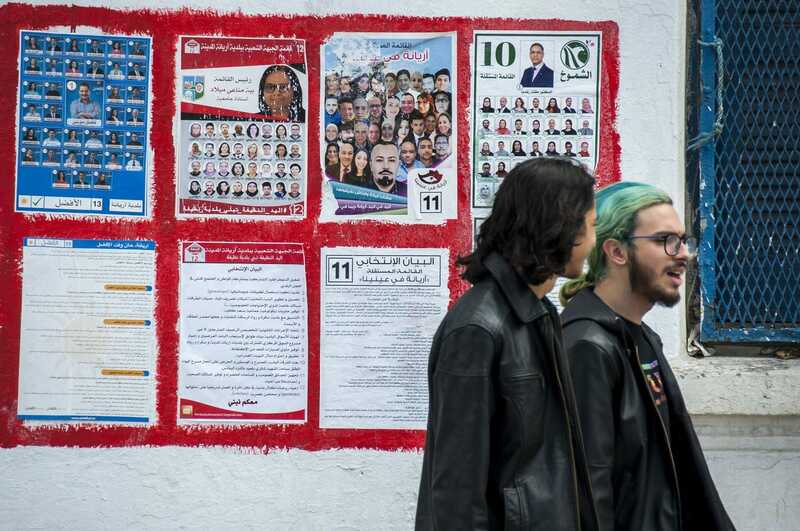 Morocco’s bid is an ostensibly simple David and Goliath case in which the developing North African country stands nary a chance against its better funded, connected, and organized joint United States-Canada-Mexico opponent. Yet, below the surface are a flurry of fascinating details, not unlike when kids lift up rocks embeeded in the ground and discover an assortment of critters, delightful and grotesque. Behind the Morocco World Cup bid story are discussions of the kingdom’s “homosexuality ban;” concerns about unbuilt but future, vacant “white elephant” stadiums; the controversy of spending billions to host the event; threats and plots to undermine the bid; and emerging blocs of either supporters or opponents of Morocco’s effort. It is not just about soccer! 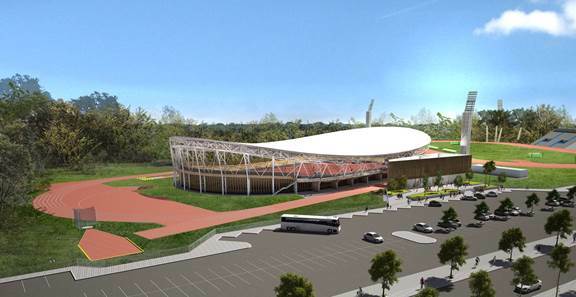 A rendering of the finished velodrome, located next to the Yarkon Park. On Tuesday, Tel Aviv dedicated the Middle East’s first velodrome indoor cycling racetrack on as part of the celebrations surrounding the Giro D’Italia opening leg in Israel over weekend. A velodrome is an indoor arena for track cycling, a special type of bicycle race with steeply banked walls. The bicycles do not have brakes and racers utilize the angle of the walls to maneuver around opponents. The $19 million project will be completed in September. Almost 200 cyclists will have raced along Israel’s highways over the weekend as the country hosts the start of the Giro D’Italia from May 4 to 6. The Giro D’Italia is the second-most prestigious cycling race after the Tour de France. It is the first time in the 101-year history of the race that will have started outside of Europe, though it has started in neighboring European countries during different years. Also on Thursday, a big day in the region, an Israeli court convicted an Arab poet of online incitement to terrorism for using a poem as the soundtrack to images of Palestinians in violent confrontations with Israeli troops. Dareen Tatour, 36, posted to Facebook and YouTube a video of herself reading out her poem “Resist, My People, Resist,” in October 2015 during a wave of deadly Palestinian street attacks on Israelis. The Israeli-Arab poet was arrested a few days later, and prosecutors said her post was a call for violence. The case became a cause celebre for freedom of speech advocates in Israel. It has also drawn attention to the advanced technology used by Israeli security agencies to trawl through social media to identify and arrest users suspected of incitement to violence, or of planning attacks. Indictments for online incitement have tripled in Israel since 2014.